I love salads and I love pasta. This means that I love pasta salads as well! They are yummy, filling, easy to carry and keep well in the fridge. The ideal office or school lunch! When I first made my vegan mayo, the first thing that occured to me was to finally make a pasta salad with mayo dressing. The result was amazing. We enjoed it so much! Light, tasteful, packed with nutrients and refreshing! You can have it as a salad or as a light meal. Adjust quantities and ingredients to taste. For example peas and carrots would be great add-ins. Improvise and enjoy! Cook pasta according to package instructions. In a bowl combine olive oil with mayo, salt and pepper. 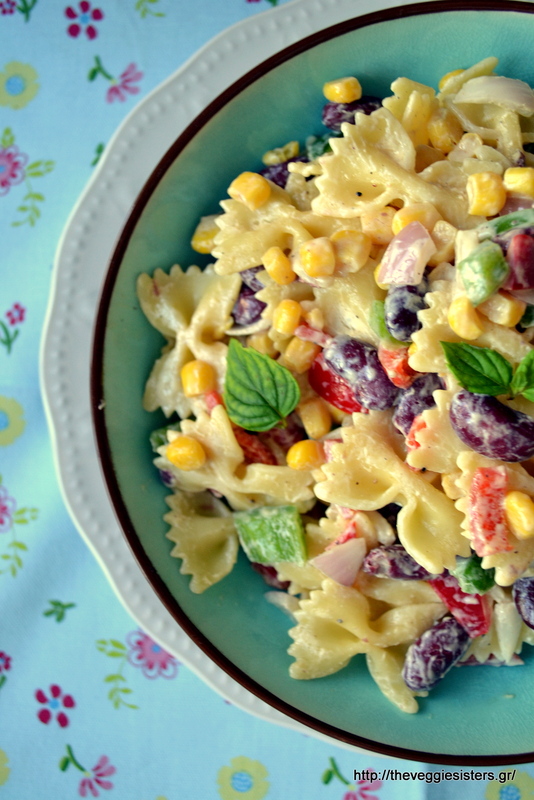 In a big bowl combine veggies, beans, cooked pasta. Pour the sauce. Stir to combine. It is delicious served cold or warm! Keeps well in the fridge. Enjoy! 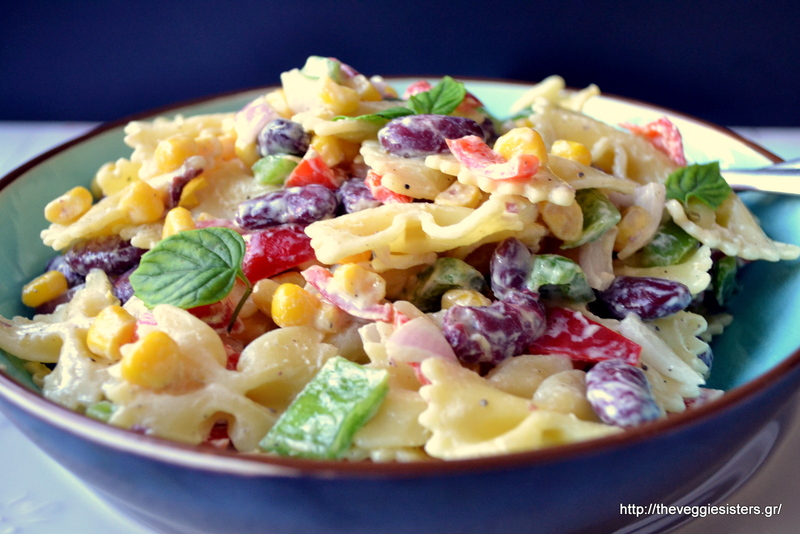 Share the post "Vegan mayo veggie pasta salad"